This is straight from the Mayor’s blog. I urge everyone who can make it to be at the event so we can all be better educated on the how and why of this new program in Provo. This could be a great way to get bicycle facilities in our wonderful downtown area. “Provo’s downtown is, in many ways, a canvas that’s waiting for new paint. Another opportunity to do just that in a new, unique way is being presented tomorrow on University Ave. at 11:30 a.m.
“I Wish This Was” is a program born out of the aftermath of Hurricane Katrina. Residents in the city wanted to play a role in revitalizing the areas hit hardest. One resident, Candy Chang, came up with the idea of using stickers and markers as a way to have a voice in the recovery effort. Tomorrow in downtown Provo, organizations around the community will be joining one another at 19 N. University Ave to kick off a similar project. It’s a way to allow public input and dialogue in shaping areas of our downtown Provo. 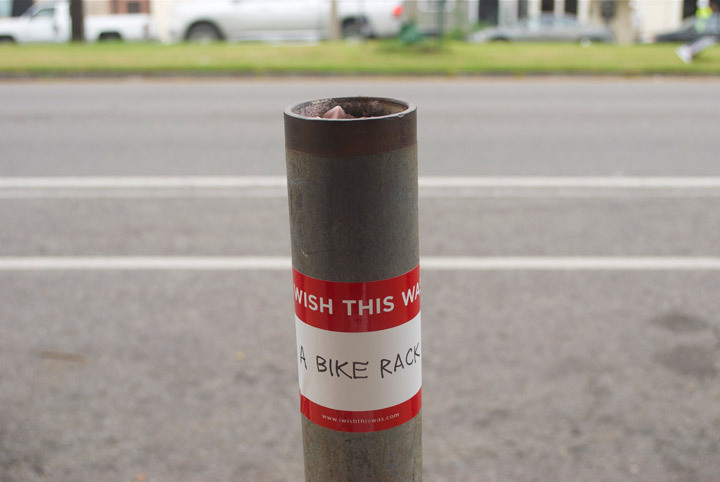 This entry was posted in Bike Advocacy, Provo Bicycle Projects by Zac. Bookmark the permalink.